The Teresian Association group meets every second Saturday of each month from 11:00 am - 2:00 pm in the St. Francis Room, lower church. 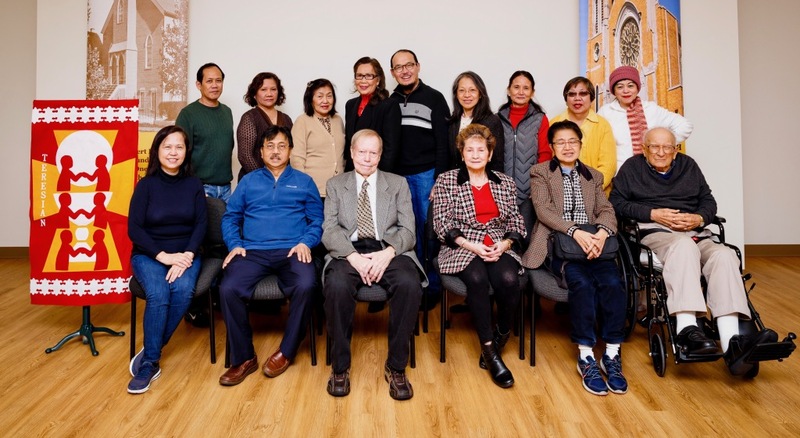 The Teresian Association, a lay association founded by St. Pedro Poveda, committed to witnessing the Gospel values in ordinary life, began its presence at St. Adalbert Parish on February 9, 2008 upon the invitation of the then Pastor, Fr. Paul Miskiewicz OFMConv., to have a Pro-life, social justice organization in the parish. Ever since its beginning, the Teresian Association Movement at St. Adalbert has invited guest speakers to the Teresian meetings. The members offer many prayers, including the rosary, the Divine Mercy Chaplet and those requested by the U.S. Bishops for our country and people. Masses are offered for the right to life and needed info on different ways human life is attacked are distributed. They signed petitions against taxpayer funding of abortion, participated in the March for Life in Washington, DC and continue to educate the membership in the areas where risks to human dignity intersect with dangers to human life: health care, immigration, education, entertainment, religious freedom and family. They have attended Masses for Life's Precious Infants and prayed against abortion. They held group prayer, discussions on the Popes’ encyclicals, Bible, teachings of St. Pedro Poveda, studying the life and writings of St. Teresa of Avila to make Jesus present in their lives. The Teresian Association meets every second Saturday of each month from 11:00 am-2:00 pm in the St. Francis Room, and continues to welcome everyone.